OJAS Eduland conducts a half-day day workshop for school students. Objective of the workshop is to make the students understand the emotions and overcome the anger. 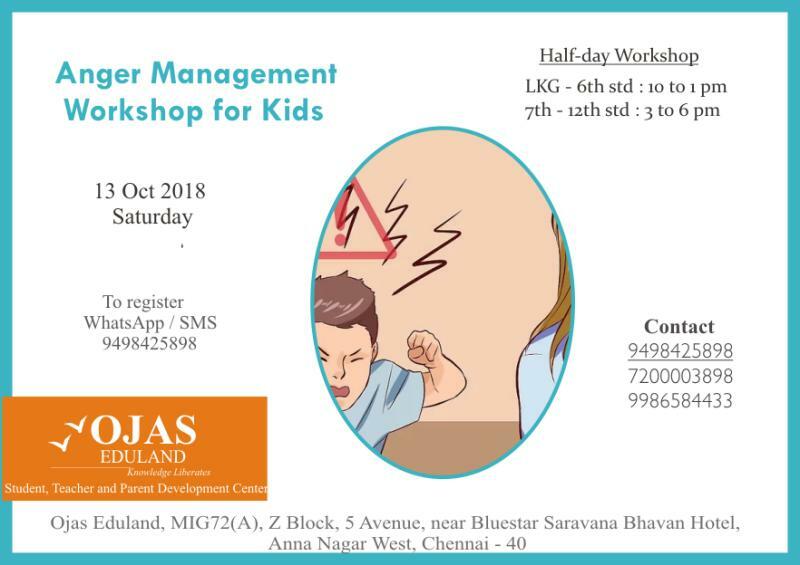 This workshop will help the children to get away from the anger, which may get carry-over to their adulthood and may harm their future. Registration fee: Rs.800/- per participant.